The Zukunftsstiftung Entwicklung cooperates with 84 projects in 20 countries in Africa, Asia and Latin America. With the support of local partners, the foundations for an independent life are dignified. Initiative people are supported in their actions for an ethical, ecological and social world – in a dialogue-based cooperation at eye level. 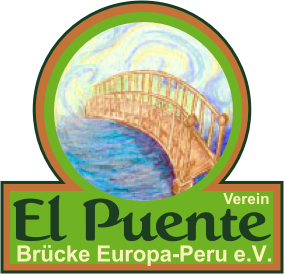 The Zukunftsstiftung Entwicklung contributes to building bridges between people here and there – between realities of life in different countries; Bridges aiming to improve living conditions, exchange and understanding. The focal points of the project work are organic farming, holistic health promotion, emancipatory education, people and environmental rights, the expansion of small businesses and transparent microcredits accompanied by training as well as the use of renewable energies. In Tamshiyacu, in addition to the purchase of forest land, the foundation supports the agro-ecological project and the expansion of the biodynamic educational farm. The Zukunftsstiftung Entwicklung issues deductible donation receipts. The Zukunftsstiftung Entwicklung is the recipient of the donation seal of the German Central Institute for Social Issues (DZI). Rettet den Regenwald e.V. has been actively involved in protecting the rainforest since 1986. The non-profit association names rainforest-destroying projects, companies and political decision-makers. Rettet den Regenwald e.V. also supports local grassroots organizations in the tropics to prevent land grabbing, deforestation, animal slaughter / torture and environmental destruction. The association is politically and financially independent. This is achieved through a large number of individual and permanent donations from people from all over the world. Rettet den Regenwald e.V. is recognized as a Charity, donations can thus be claimed for tax purposes. In our opinion, living conditions can sustainably improve only with regard to the natural resources of the people there. By dedicating charitable help to the urgent problems of the people there, ideas for problem-solving emerge and jobs are created.